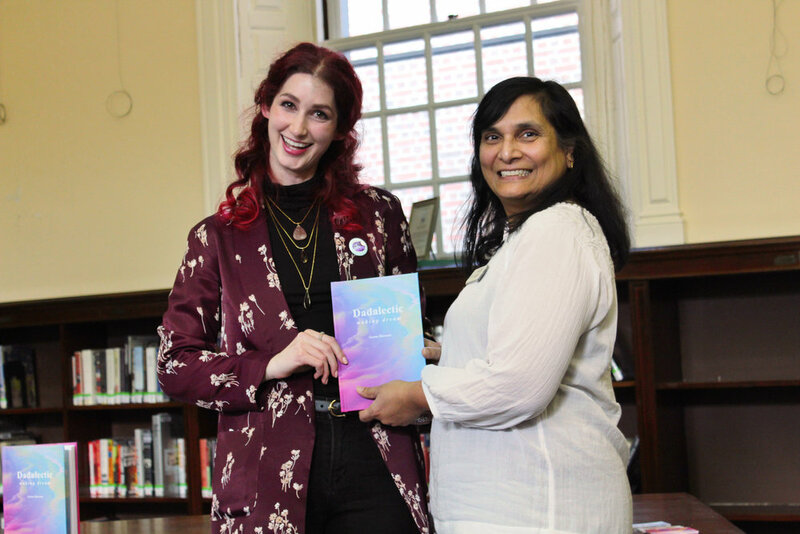 Geena Matuson super excitedly presents Medfield Memorial Public Library Director Meena Jain with copy of her first book "Dadalectic: Waking Dream" at her reading, March 2018. See more @ http://dadalectic.com. The professional photos are in, and the article is out! 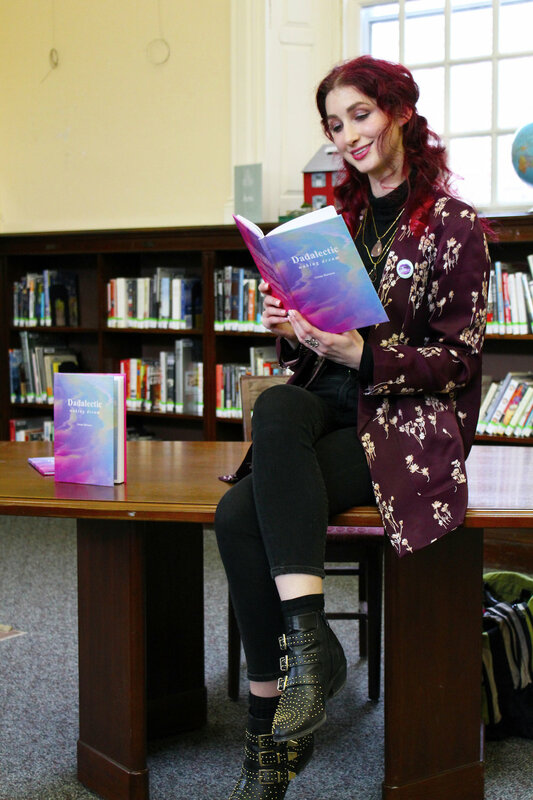 Thanks to Laura Drinan at Hometown Weekly Newspapers for the great photos, the support, and the amazing article in the newspaper about my first book reading and signing for "Dadalectic: Waking Dream"! 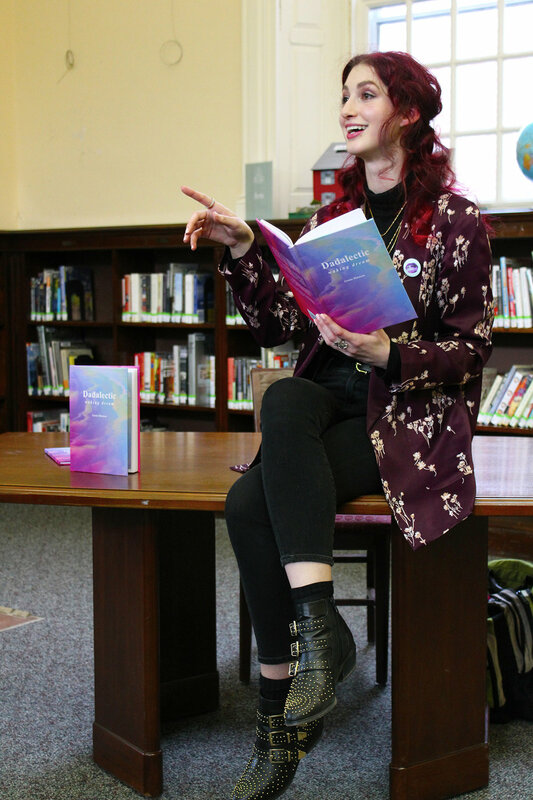 I was clearly super excited to gift a copy of my book to the Medfield Public Library, haha. 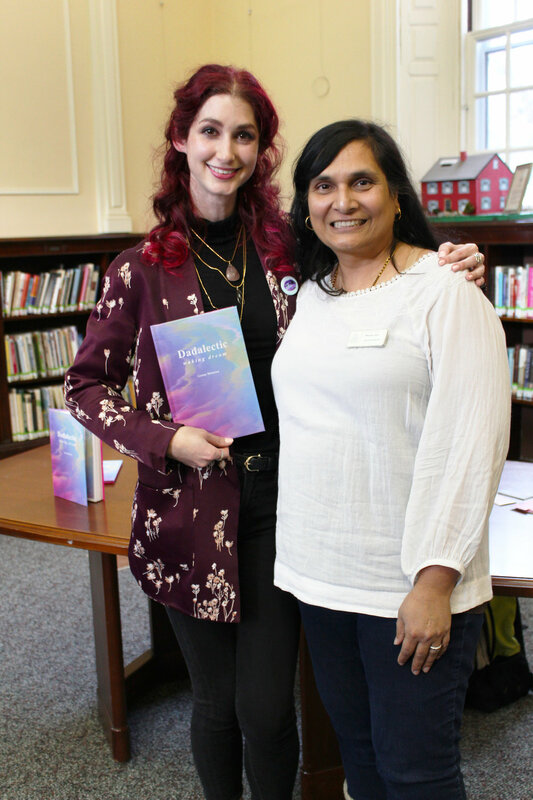 Thanks again to Director Meena Jain for hosting me, promoting me - and adding my poetry/art book to the Minuteman Library Network! It was such a fun event, and it felt so empowering to share my words with the world - that's why I've always wanted to be a published author. And look at that - I did it! It felt really great to have my friends join me as I talked about self-publishing, my book, the ideas behind it - and even how others can get involved, and how young artists can start putting their work out there now. I know everyone had a great time, and it really affirmed my interest in teaching and helping others with their own work. You can learn more by checking out the book on Amazon via dadalectic.com, and join my newsletter for updates! I'm super excited to announce that my art has been accepted for publication with JellyBaby Magazine, the "art and Photography publication featuring fun and colorful babes of all shapes and sizes from all over the planet!" Previously-unreleased work from my series "The Girl Mirage" (yes, the series that inspired the name) is now available in JellyBaby Magazine, Issue 11 Volume 1!